Finding out you have bad credit usually comes at the worst time. You may not even know your credit is bad until you’ve been denied for a credit card, cell phone, or car loan. Use this event as motivation to check your credit report. Upon doing so, you’ll likely find one or more negative items bringing down your score. Fixing bad credit is not something that can be done overnight, but at the same time, you don’t have to wait years. There are things that you can do immediately to take control of your credit and raise your credit scores so that you can get approved for a loan or credit card. Start by checking your credit report. You’re allowed one free copy each year from the three credit bureaus, but you can also request a copy if you’ve been denied credit because of your score. Credit utilization is one of the most important factors in determining your credit scores; in fact, it accounts for 30% of your credit score. It’s something you can control and something that can be improved upon immediately, which makes it a great place to start. So what is credit utilization? It’s the amount of debt you have relative to your credit limits. It’s best to keep your credit utilization ratio below 30%. This shows creditors that you can manage your available credit responsibly. You don’t want to have your balances maxed out. For example, if you have a total credit limit of $10,000 and your balance is $3,000, you would be utilizing 30% of your available credit. The lower your credit utilization ratio, the better. There are two ways you can help your credit utilization. First, paying down balances is something that can have an immediate positive effect on your credit report. Even just diverting a small amount each month can help out, especially if you’re not adding any new debt somewhere else. The other way is to ask your credit card company to increase your line of credit. Again, you shouldn’t actually spend the new credit line, but it’s an easy way to have your percentage of utilized credit drop quickly. Using the example above, if you got your $10,000 credit limit increased to $15,000 then your $3,000 balance would only account for a 20% credit utilization. Your credit score would almost certainly improve in this situation. Even more important than credit utilization is your actual payment history, which takes up 35% of your credit score — the largest category considered by the FICO scoring model. It makes sense that it should; after all, your credit score is meant to be a reflection of your creditworthiness. It gives a numerical value to how much risk a lender should expect when lending you money. If you have a spotty history with frequent late payments for your major bills, then, of course, a lender should trust you less. But if you’ve rarely missed a payment and don’t have any delinquent accounts, then you’re rewarded with a high score, serving as a tip off to lenders that you’ll most likely make your payments to them, too. Not all creditors report your payments to the credit bureaus. But you can expect most credit card companies, mortgage companies, and other lenders to report both timely and late payments to one or more credit bureaus. When you request your credit report, expect to see in-depth monthly snapshots of your payment history for your mortgage, car loans, student loans, and credit cards. Other companies, like your utility company or cell phone provider, typically don’t report on-time payments. They may, however, report your late payments. So the better payment history you have, the better credit score you’ll earn. It’s definitely a case of “slow and steady wins the race,” but it’s a strategy that’s absolutely necessary if you truly want to fix your bad credit this year. Another tactic for improving your credit score is getting yourself added to someone else’s credit card that has been open for a long time. That’s because your length of credit history accounts for 15% of your FICO score. So if you get a parent or partner to add you to an account they’ve had for 15 years, your total average length of credit could jump overnight. There are a few caveats, of course. The account should be in good standing because you’ll also be taking on that person’s payment history. If they stop making payments or already have a history of default, that will all show up on your credit report. It’s also wise for you to actually not have access to the line of credit. Just as your friend or relative’s use of the card can affect your credit, your use of it can affect theirs. They’re ultimately responsible for the entire balance of the card. If you charge purchases and then don’t make the payments, the card owner either has to pay for you or let the payment turn late. It’s in no one’s best interest for that to happen, so it’s better to steer clear altogether. Of course, also only choose to be an authorized user with someone you trust and who trusts you. A better credit score is certainly never worth ruining a relationship over, especially when you have so many options available for improvements over the short term and the long term. Removing negative items from your credit report can also have a huge positive impact on your credit scores. Many people still don’t realize that it’s possible to have negative items removed from their credit reports. However, there are thousands of people disputing such items with the credit bureaus and getting them removed every day. It’s actually easier than you might think and also a much better alternative than simply waiting years for them to drop off of your credit report. Ready to Get Negative Items Removed from Your Credit Report? How Long Do Negative Credit Items Stay on Your Report? The Fair Credit Reporting Act (FCRA) limits the length of time a credit bureau can report negative items on your credit report. Positive and neutral items can be and are usually reported indefinitely. Keep in mind that it is possible to have negative items removed from your credit reports. The times below are how long the negative items will stay on your credit report if you are unable to get them removed. Charged off accounts or accounts that were sent to collections may be reported for up to 7 years plus 180 days from the date of delinquency. Charge-offs occur when a creditor decides a debt is not collectible and rather than carry it on their books as an overdue or past due debt, they instead eliminate it from their reportable past due accounts. By charging off the debt, the company gets an improvement in their accounts receivable report. That doesn’t mean the debt has disappeared. In most cases, the debt is sold to a “debt buyer” who pays pennies on the dollar for the face value of the debt. By purchasing the debt, the debt buyer can now attempt to collect the debt (plus court fees, interest, late charges, etc.) by contacting the debtor and taking them to court for the debt’s value plus fees. Collection accounts may be reported for up to 7 years from the date you first fell behind with the original creditor. Collections are complicated. Paying them off can actually hurt your credit scores because it resets the date from which it can be reported. In some states, it can also reset the statute of limitations, so it’s important to research those before making any payments. It’s also wise to consult a consumer finance lawyer in your state to make sure you’re making the best choice. Also, be wary of communicating with the collection agency about old debt; even a simple acknowledgement that you owe the money can reset the clock. Late payments or delinquent accounts may be reported for up to 7 years after the date of the last scheduled payment. Even if you make the payment later, the account on your credit report will more than likely show that you were previously past due. However, some creditors don’t report the past due payment until a second payment is due. They don’t want to upset good customers who simply forgot to send a payment in and made it up the following month. Under credit reporting rules, after a second payment is missed, all past due payments must be reported. Bankruptcies may be reported for no more than 10 years from the date you filed. If your case was dismissed, the 10 years starts from the date of dismissal. Typically, only Chapter 7 stays on for this amount of time since the debts are discharged. Chapter 13, on the other hand, only stays on your credit report for seven years. Foreclosures may also be reported for up to 7 years. In terms of buying a new house after foreclosure, you won’t be able to qualify for a new mortgage for at least 2 years and possibly longer. Judgments may be reported for up to 7 years from the date a lawsuit was filed or until the governing statute of limitations has expired, whichever is longer. Most statutes of limitation are shorter than seven years, so 7 years is the likely maximum time judgments or lawsuits will show up on your credit report. Double check in your state to know for sure. Repossessions may be reported for up to 7 years after they occur. Under federal law, unpaid tax liens may be reported on your credit reports indefinitely. However, the credit bureaus may remove them after a decade or so. Paid tax liens may be reported from the date of payment for up to 7 years. Once you understand the reporting period on each type of item, you can determine the best way to tackle them. Prioritize your credit disputes by focusing on the newest, largest listings. If an item is going to fall off in a year or two, it may be better to focus your efforts elsewhere. Yes, they’ll be seen on your credit applications, but they’re probably not having a huge impact on your actual credit score anymore. Like other types of debt,unpaid collections from medical debt stays on your credit report for 7 years. However, newer regulations limit how quickly that debt can actually appear on your report, since most insurance companies and medical providers are slow to finalize negotiations on behalf of consumers. Now medical debt cannot be reported to the credit bureaus until after 180 days. This gives you time to find out your potential insurance coverage and work out a payment plan. Negative Items Can Be Removed! 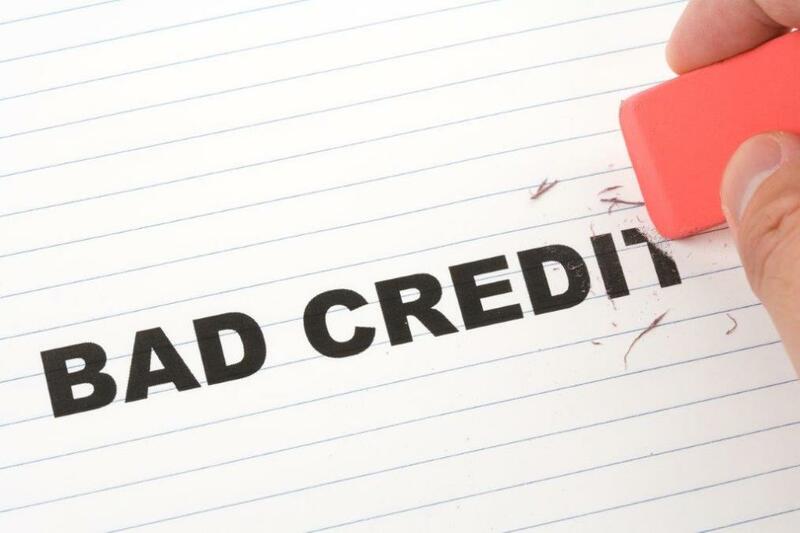 With credit repair, it’s possible to have negative items removed from your credit report. The simple fact is that questionable credit listings are either deleted or corrected by the thousands each and every day through the efforts of individual consumers and organizations like Lexington Law. In fact, Lexington Law has helped hundreds of thousands of clients and has removed over 9 million negative items in 2016 alone! Call 1 (800) 220-0084 for a free consultation and complimentary, no-obligation credit score today!